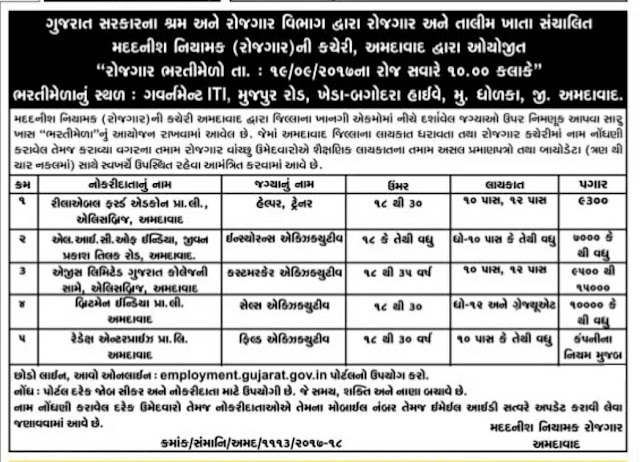 District Employment Exchange Ahmedabad has published Advertisement of Rozgaar Bharti Mela for below-mentioned posts. Check below for more details. Venue: Government I.T.I. Mujpur Road, Kheda - Bagodara Highway, At- Dholka, Dist.- Ahmedabad.